Your septic tank performs a vital role in keeping your home and family safe from waste. San Luis Obispo residents can rely on the expertise of Ingram and Greene Sanitation for all their septic needs. 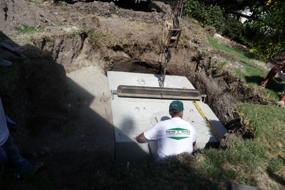 If you are looking for a reputable septic tank expert, you should follow these three steps. 1. Ask for and verify credentials. 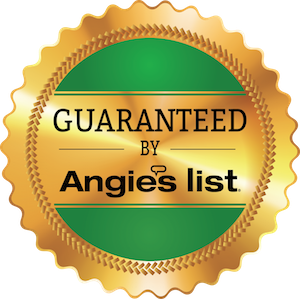 Like any other major construction-related project for your home, you only want to contract with a licensed professional. You can do an online search with the Better Business Bureau to check the contractor’s business rating. Also, you can contact your local health department and inquire about registered septic tank providers. 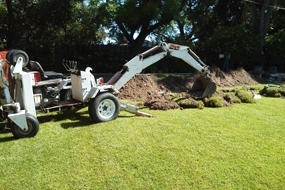 Selecting a San Luis Obispo septic tank specialist can ensure that waste is properly handled, your home’s water quality remains high, and you will receive prompt and knowledgeable service. 2. Look for reviews and references. Start with neighbors, family members, or friends, and ask for recommendations. The best sign of trustworthiness is what customers have to say about the quality of their work. Shoddy septic work can leave your home in disrepair and put a huge issue in your hands. Always ask for at least 2 or 3 references who you can contact and get more insight into the pros and cons of choosing that particular San Luis Obispo septic tank provider. Be sure to inquire about their level of professionalism, the speed of service, overall costs, and how satisfied the customer was with the service they received. If a company is hesitant or refuses to provide references, this is a sign that you should look elsewhere. 3. Check for insurance. When you contact your shortlist of septic tank contractors, take the time to learn if they are insured and bonded, if they have the necessary state and municipality licenses, and the amount of training their crews have. 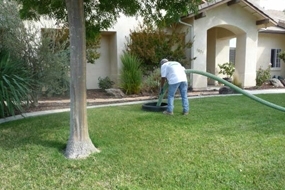 It is always good practice to get more information about the range of services they provide and when possible, choose a trusted San Luis Obispo septic team that specializes in a wide variety of septic system services. 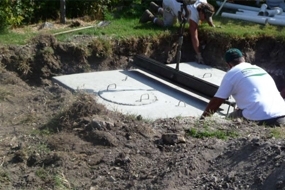 This way you can rest assured that they will understand the ins and outs of septic system installation, repair, and general maintenance. If you are in the market for a new septic tank system or would like a septic tank inspection, call the San Luis Obispo septic professionals at Ingram and Greene Sanitation at (805) 466-0462.